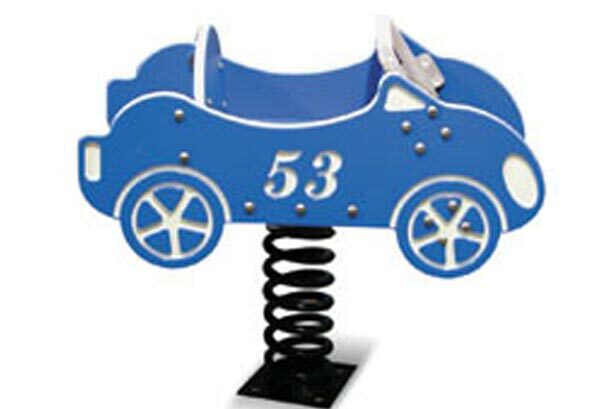 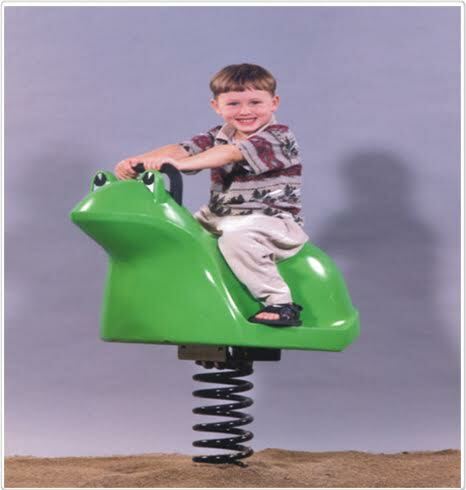 Actual Size: 15" x 31"
Actual Size: 21” x 30” x 30"
The Rotomolded Motorcycle Spring Rider offers stability for a single user. 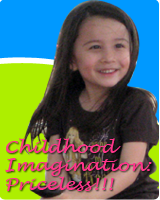 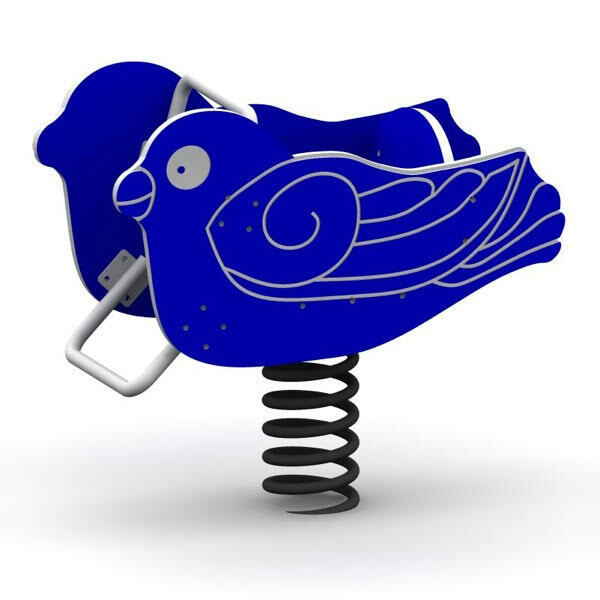 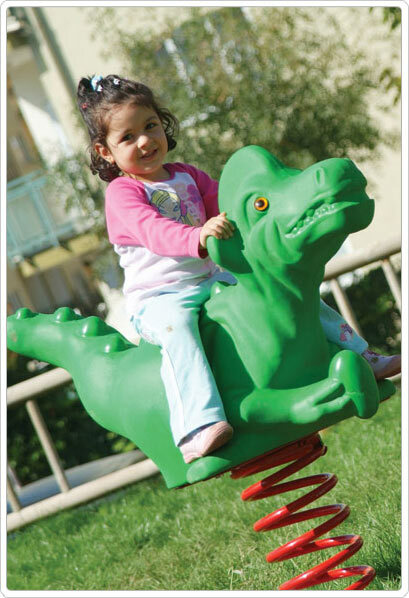 Playground spring bouncers are now being molded to specific shapes to create a more realistic play experience. 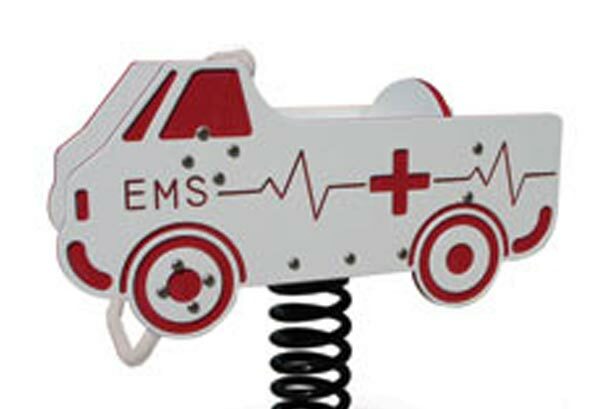 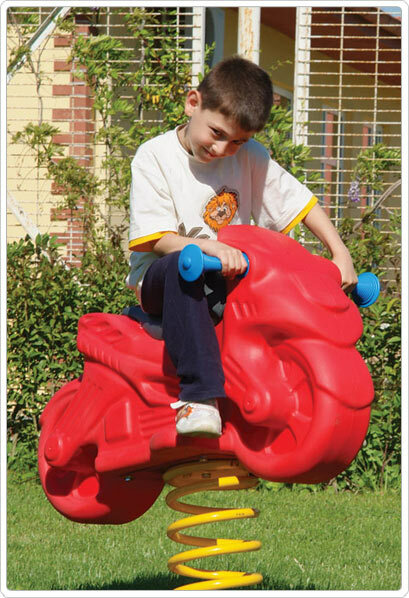 The motorcycle mold features detailed grooves to best imitate a bike. 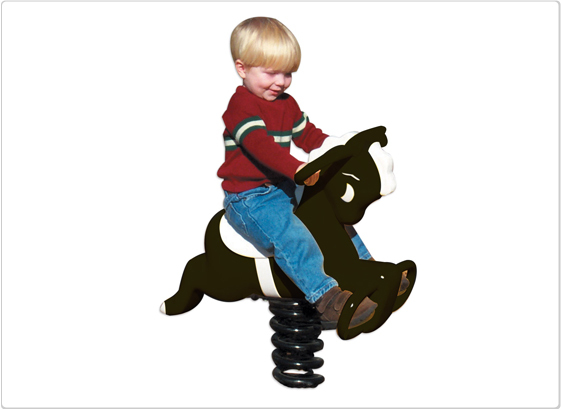 Watch your youngsters' imaginations soar when they try out SportsPlay's Motorcycle Spring Rider. 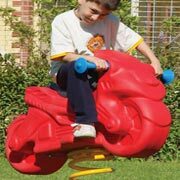 The rotomolded plastic motorcycle looks like the real thing. 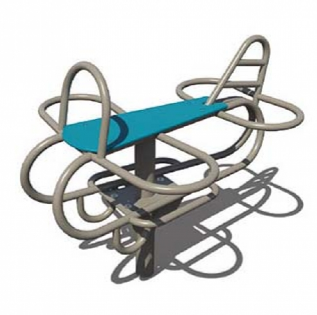 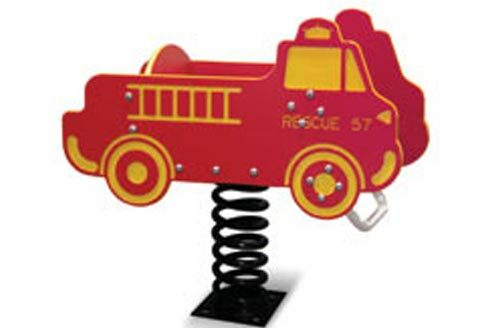 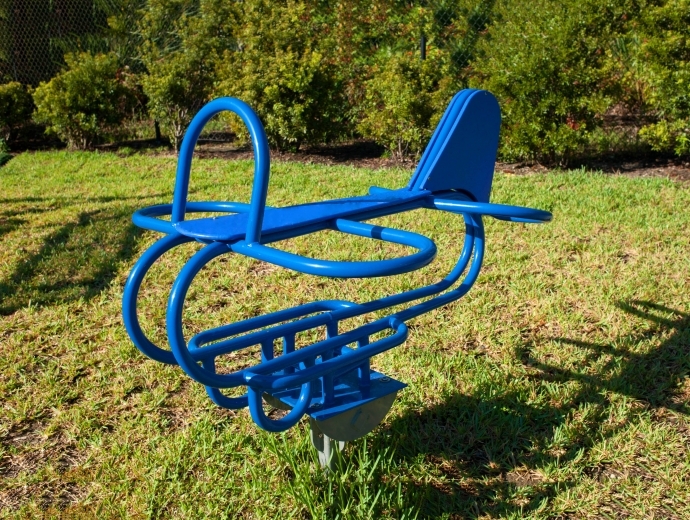 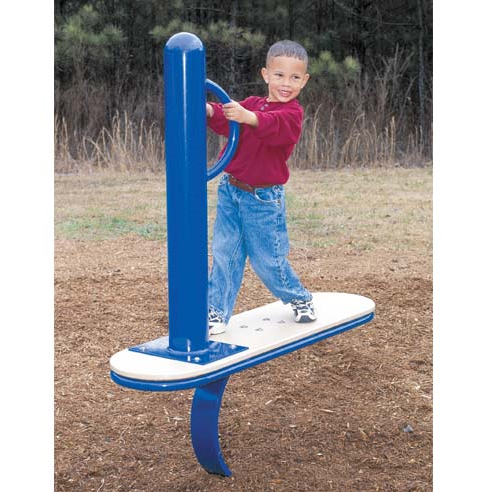 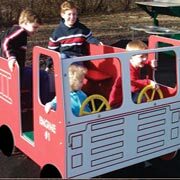 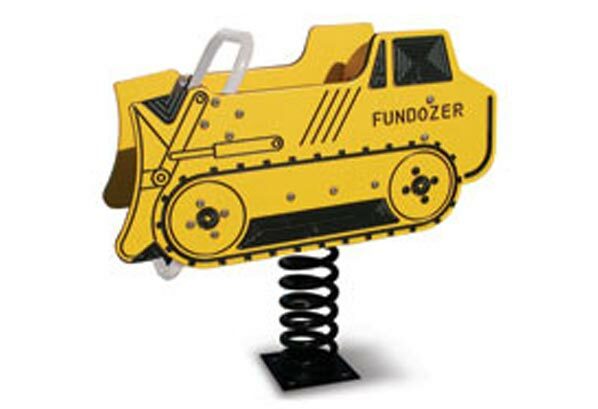 Stands up great to the elements, making it an excellent choice for your outdoor playground. 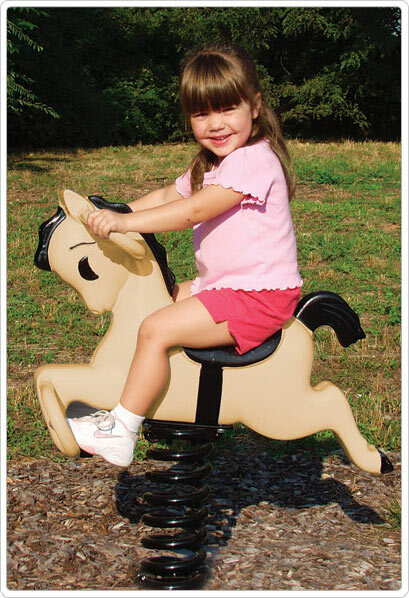 Recommended for children ages 2 to 5 years. 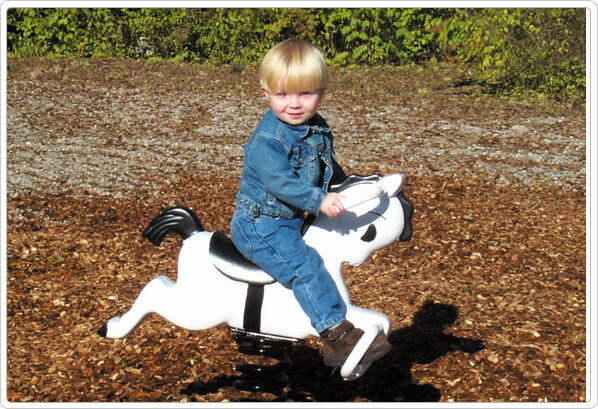 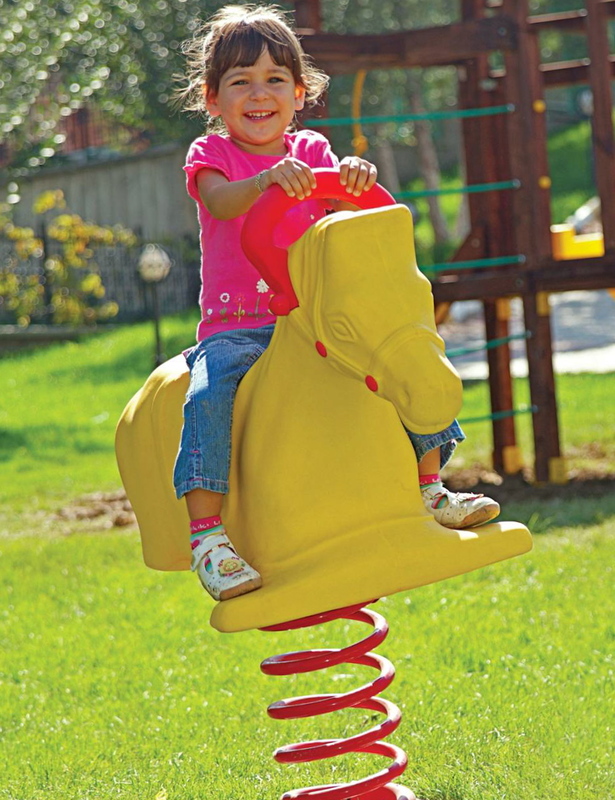 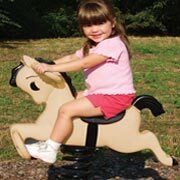 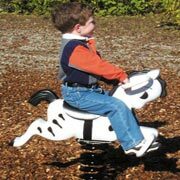 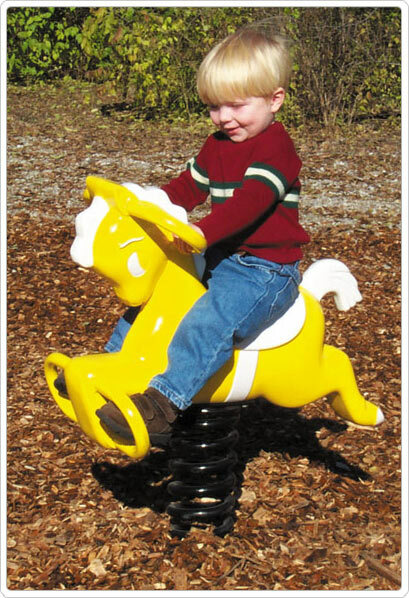 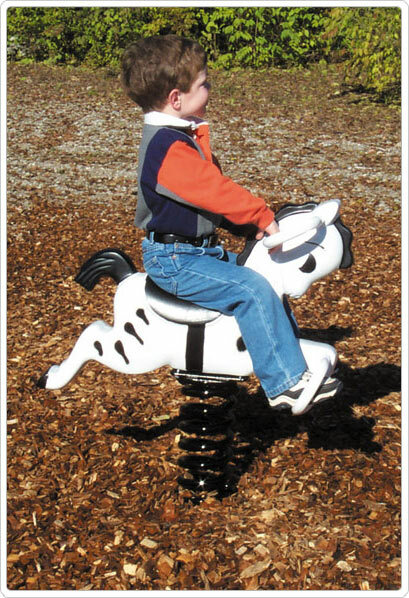 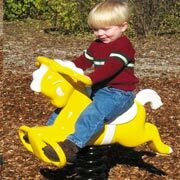 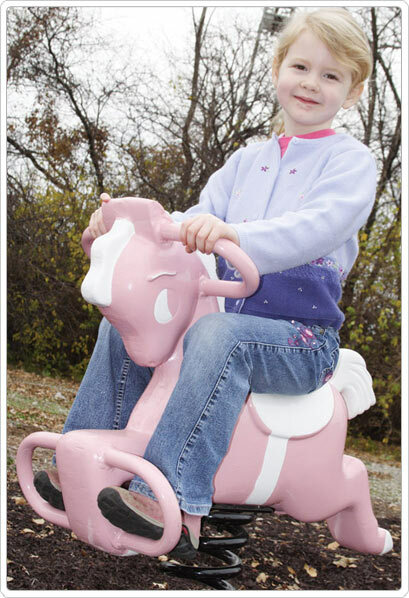 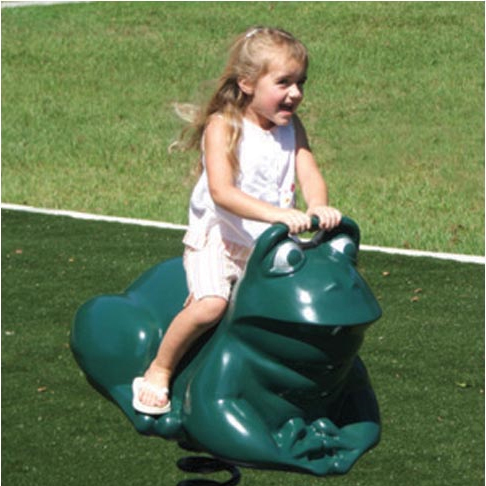 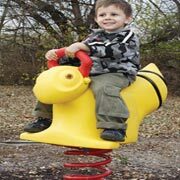 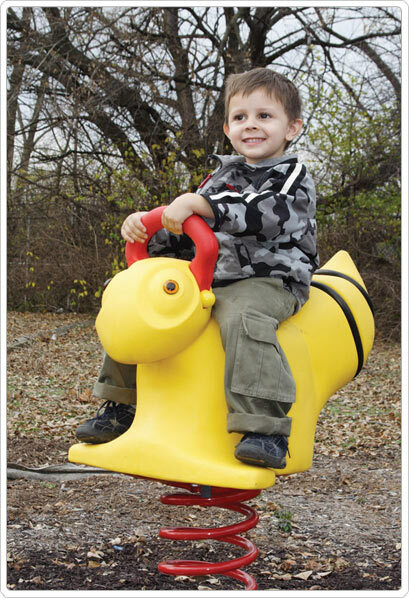 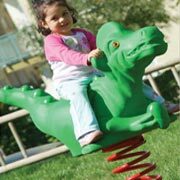 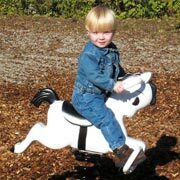 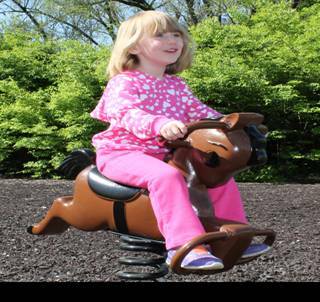 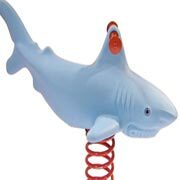 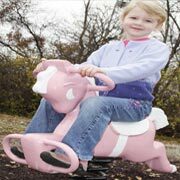 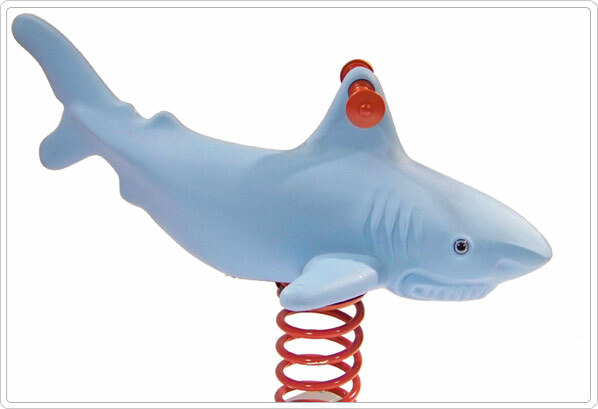 The Shark Spring Rider is a fun animal for your playground. 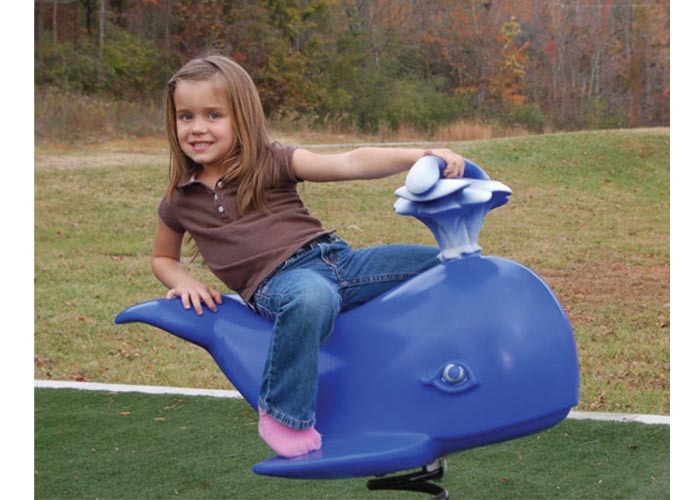 Truly a unique event, this equipment is molded to imitate a shark, perfect for a waterfront playground.